U.S. President Trump is set to formally announce a review of vehicle fuel efficiency rules locked in at the end of the Obama administration when he meets with automaker chiefs this week, sources said. WASHINGTON: U.S. President Donald Trump is set to formally announce a review of vehicle fuel efficiency rules locked in at the end of the Obama administration when he meets with automaker chiefs this week, according to two sources briefed on the matter. Trump will visit an autonomous vehicle testing facility in a Detroit suburb on Wednesday and meet with chief executive officers of several U.S. automakers who want the rules revised. The administration has decided to review the feasibility of the 2022 through 2025 vehicle emissions rules, sources told Reuters last week, after the Obama administration moved in its final days to keep them. Reuters reported on the planned announcement on March 3. White House spokesman Sean Spicer said on Monday that the trip is focused on "job creation and automobile manufacturing... highlighting the need to eliminate burdensome regulations that needlessly hinder meaningful job growth." The chief executives of General Motors Co, Ford Motor Co and Fiat Chrysler Automobiles NV will meet with the president in Ypsilanti Township, Michigan, along with senior officials from Japanese and German automakers, including Toyota Motor Corp and Daimler AG. A White House official confirmed Trump plans to visit Michigan, but did not immediately give details. Automakers have been pushing the administration for months to reverse Obama's decision. The Environmental Protection Agency had until April 2018 to decide whether the standards were feasible under a "midterm review," but moved up its decision to a week before President Barack Obama left office in January. Automakers argue the Obama-era vehicle emissions rules, which would raise the fleet average fuel efficiency to more than 50 miles per gallon by 2025 from 27.5 mpg in 2010, will impose significant costs and are out of step with consumer preferences. They argue they need more flexibility to meet the rules amid low gas prices. Environmentalists, who favour the standards, say the rules will reduce fuel costs and greenhouse gases and have vowed to sue if the Trump administration weakens them. Trade groups representing automakers, including GM, Volkswagen AG and Toyota, have asked the EPA to withdraw the determination finalising the rules, which stem from a 2011 deal the industry reached with the U.S. government. 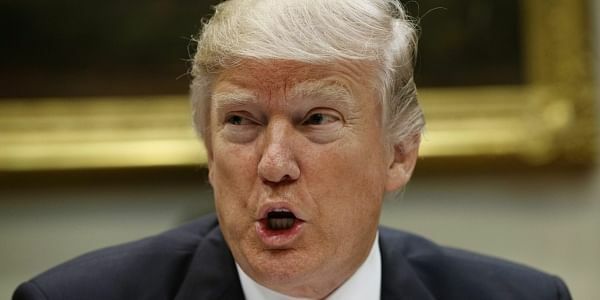 Changing the 2022-2025 fuel rules will require a lengthy regulatory process and environmentalists and Democratic state attorneys general are likely to sue if the Trump administration significantly weakens the requirements. The Obama administration said in 2011 the changes would boost fuel efficiency to a fleetwide average of 54.5 mpg, save motorists $1.7 trillion in total fuel costs over the life of the vehicles and cost the auto industry about $200 billion over 13 years. The fuel standards were a central part of Obama's legacy on addressing climate change. In July, the EPA estimated the fleet would average only 50.8 mpg to 52.6 mpg in 2025 under the rules because Americans were buying more sport utility vehicles and trucks and fewer cars. Automakers briefed on the meeting do not expect the EPA to take action this week to attempt to prevent California from setting its own vehicle emissions rules, but administration officials did not confirm it. Reuters reported last week the EPA is considering taking steps to reverse California's waiver under the Clean Air Act that allows it to set its own vehicle greenhouse gas emissions standards. Trump has repeatedly met with automaker CEOs since taking office and made boosting employment, especially in the auto sector, a top priority.